Horrorscreams Videovault - UK based horror site with news, reviews, interviews and more. : YOU CAN NOW HAVE YOUR VERY OWN FINAL GIRL.....IN DOLL FORM! 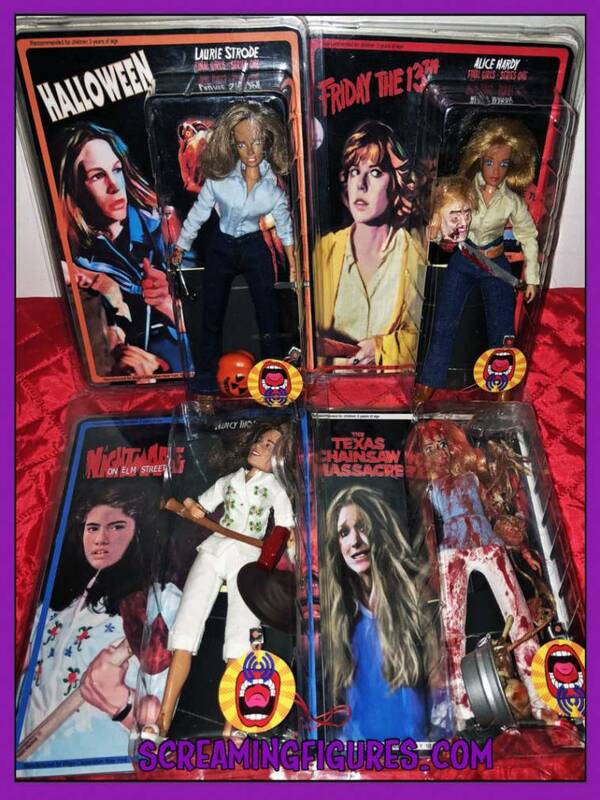 YOU CAN NOW HAVE YOUR VERY OWN FINAL GIRL.....IN DOLL FORM! Ready for a MEGO-style horror action figures that will make your blood curl this holiday season? Two new series of 8-inch custom-made horror movie collectibles are now available from SCREAMING FIGURES, the brainchild of Horror director Todd Nunes (ALL THROUGH THE HOUSE) and his seamstress mother Sharon Nunes. Featuring the likenesses of four wildly popular Final Girls and the cast of THE SHINING. 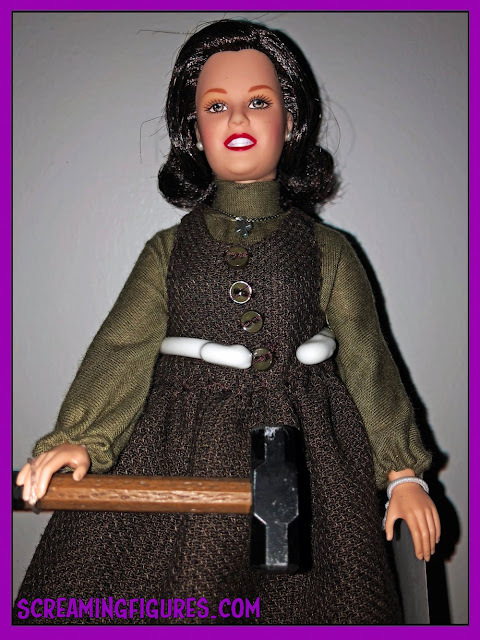 * Annie Wilkes (Kathy Bates) comes with sledgehammer and doll stand. This doll does NOT "scream." All SCREAMING FIGURES MEGO-style 8-inch action figures wear hand-tailored cloth outfits and custom-made murder weapons and accessories, and each comes with clamshell packaging and certificates of authenticity. The packaging also includes an iconic recording of a Final Girl scream or catchphrase from THE SHINING to give you chills. Action figures range from $69.99 to $119 USD.